For sweet and tart lemon desserts, lemon curd recipes are a necessity. Use this creamy lemon filling for dessert ideas including parfaits, cakes, sandwich cookies and more. "The lemon–poppy seed combo is classic," says Vinny Dotolo. "When I was a kid, I ate lemon–poppy seed muffins for breakfast and with ice cream for dessert." Now he turns the pairing into lovely cakes: They have a tender cakey layer on the bottom, a luscious curd-like layer on top and poppy-seed crème fraîche to finish the whole thing off. 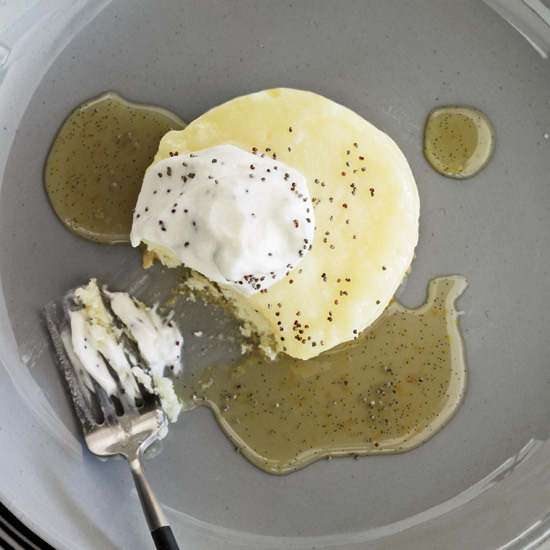 Olive oil and cocoa butter make this lemony curd extraordinarily creamy and luscious. Spread on baguette toasts, it becomes a fantastic dessert. In this clever variation of Key lime pie, Michael Mina replaces the usual lime curd with lemon and the typical graham cracker crust with a cinnamon-pecan cookie crust. These elegant cookies have pink peppercorns that are not only pretty, but great counterpoints to the sweet cookies and tangy lemon filling. 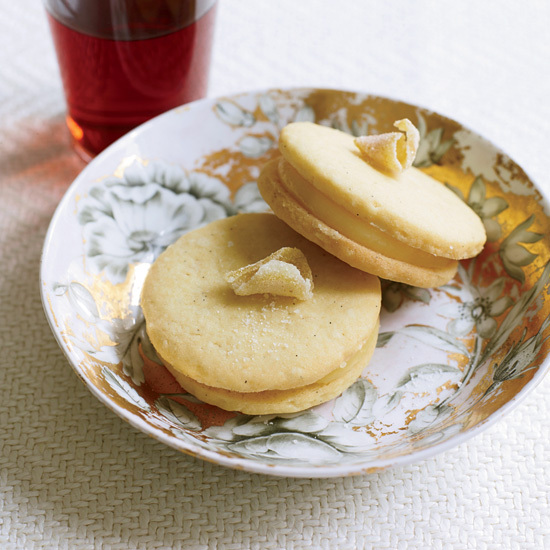 Sablés (French butter cookies) were Kevin Sbraga's favorites growing up. "I'd sneak them when I wasn't supposed to," he says. 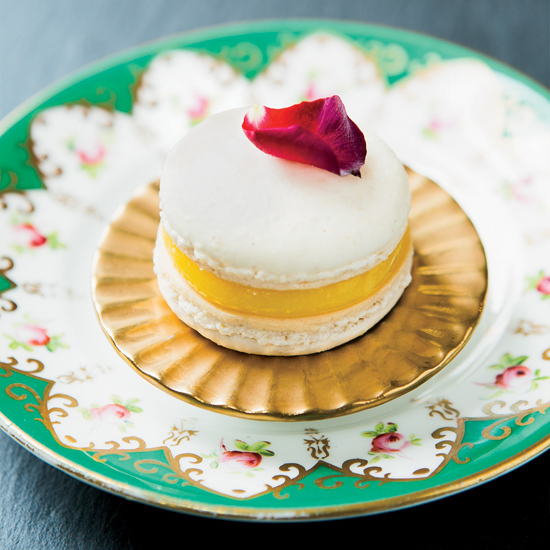 His wife, Jesmary, who teaches baking, had the idea to sandwich them with lemon curd. 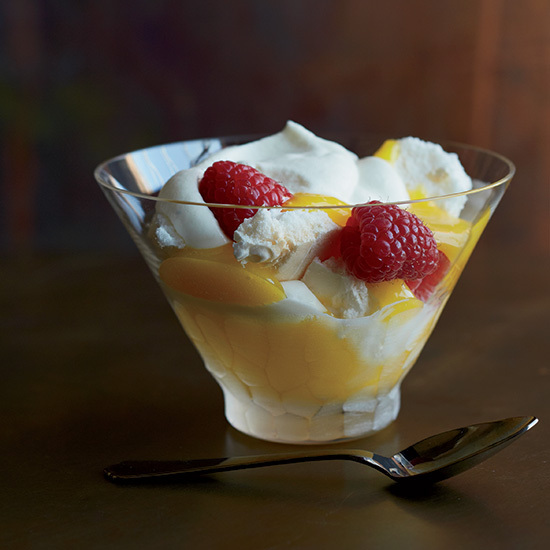 These sweet and tangy parfaits layer crisp, chewy meringue with velvety lemon curd, whipped cream and tart raspberries. "Nothing to me is as superb as homemade strawberry ice cream," says Andrew Zimmern. "Years ago, I swirled in some homemade leftover lemon curd that my wife makes in June for family birthday cakes, and a new treat was born in our house. This one takes a little work and a little forethought, but it is so, so, so worth it." To make this custard really special, Zimmern suggests using fresh cream, fresh butter and fresh strawberries.